Calgary's skyscrapers are taking an exceptionally bad hit. CALGARY – Real estate firm Cushman & Wakefield is ranking Calgary with Moscow, Houston, and Aberdeen, Scotland, as the ``oil-centric cities'' whose downtown office real estate markets have been hardest hit by the global oil price shock. 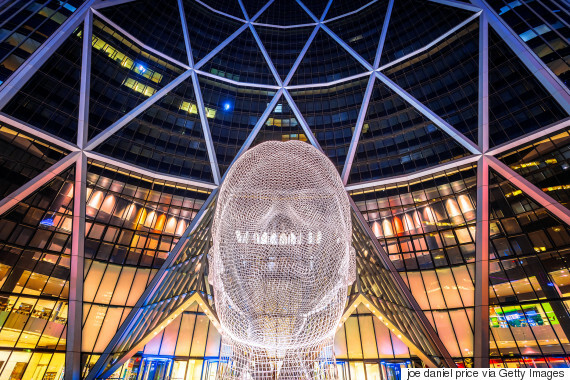 In a new report, it predicts the vacancy rate for downtown Calgary's Class-A buildings – the best quality offices in the tallest buildings – will hit 27.5 per cent by the end of next year, the highest since the company began tracking numbers in 1985. Canadian research director Stuart Barron said the estimation will likely be revised higher in coming weeks due to slowing demand and the addition over the next year of about 2.7 million square feet in buildings under construction. "Right now the number is probably closer to 30 per cent that we're comfortable with. It's quite extraordinary,'' Barron said. He said the previous high Class-A vacancy rate in the city was 17.3 per cent in 1992. Real estate firm CBRE recently forecast that Calgary's overall downtown office vacancy rate would peak at almost 27 per cent in 2018, after rising from 24 per cent this year to nearly 25 per cent in 2017. The Cushman & Wakefield report says Calgary was able to absorb the highest downtown office growth rate in Canada over the 15 years before the oil price crash, handling an average addition of 750,000 square feet per year. However, it adds, the loss of 46,000 jobs in Alberta since oil prices fell below US$100 per barrel in mid-2014 has steadily emptied oil and gas head offices throughout Calgary's core. It says 4.3 million square feet of downtown space in all classes has been returned to the market over the past two years. In a separate report, Cushman & Wakefield said many landlords in Calgary are offering free or substantially reduced initial rents to tenants willing to sign a multi-year lease. It said the overall downtown office vacancy rate grew from just over 20 per cent to almost 25 per cent in the three months ended Sept. 30, as a net additional two million square feet of space became available on the market.